My garden has always provided me with inspiration, even in the winter, but it was the summer weather which gave me the inspiration for this time’s quilt. We are striving to create a patch of wild garden and almost by accident, we succeeded this summer. We had all sorts of beautiful wild flowers growing very close to my outdoor studio. I took photos at every opportunity, focusing on the poppies. Onto a background of hand dyed and printed fabric, I screen printed a poppy shape, really the shape is more akin to a Californian poppy, which we also had plenty of, and because the screen is of a small size, it did give the feeling of profusion, portraying the exuberance of our wild garden area. I have mainly hand quilted around the shapes and hand painted some of them as well. I hope the happiness I have felt looking at this part of our garden is evident in this very simple style. A thin sashing of red spotted fabric and the screen printed sashing adds more liveliness. 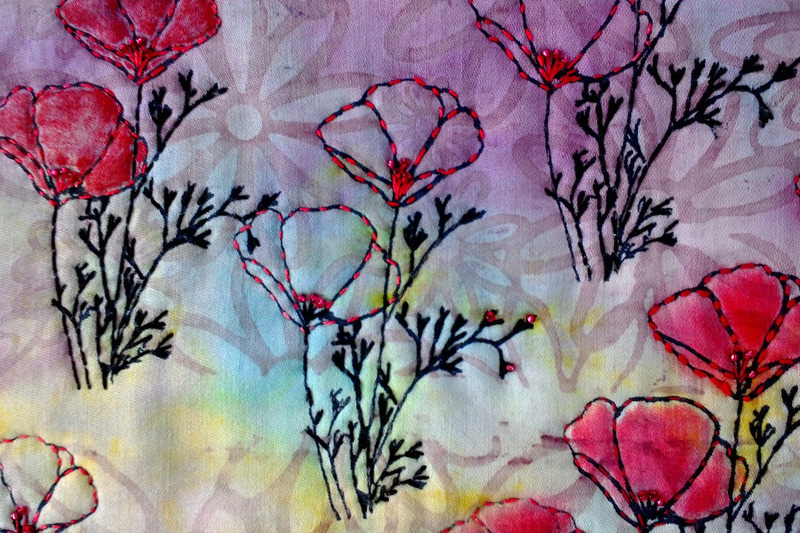 Beads have been added to some of the poppies. 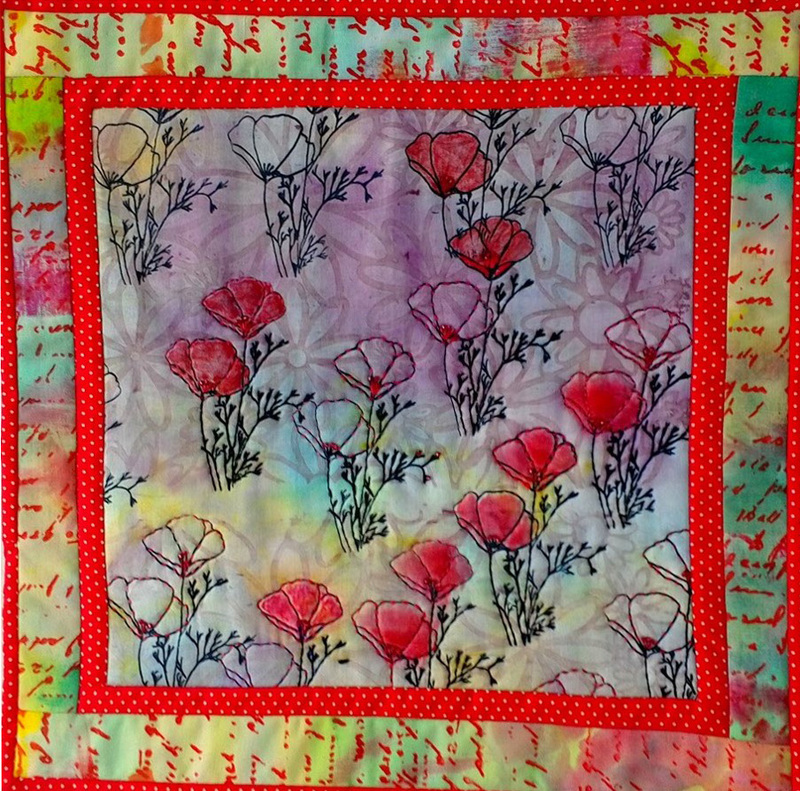 It is really nice how you did your poppys, some red painted and others just a few red stitches and beads.